The start of the school year is the perfect time to consider the online safety of your children. Julie Inman Grant, the eSafety Commissioner, offers some practical advice and resources. It’s that time of year again. The holiday season is coming to an end and we’re being bombarded with back-to-school messages – at the supermarket, on our social media feeds and on the TV. New shoes, school uniforms, stationery and devices are being purchased by busy parents trying to juggle between family time, final holiday activities, going back to work and getting kids ready for the start a new school year. While these items help ensure your child can participate in class and sport activities, the back-to-school period can also be a great time to review their online safety and get ahead of any issues that may come up through the year. Be mindful about sharing your child’s first day of school and other milestones on social media. Think about who can see the photos and what information you may be giving away, because even a school crest on a student’s uniform can say a lot about where they spend their time. Asking your child if it’s okay to share their photo is also a great way to help grow their understanding of consent and respect. See more information about sharenting. School can be a particularly challenging time for kids, especially if they’re being bullied. Our complaints show most cyberbullying stems from the school yard. So watch out for signs that your child may be affected, like being secretive with their online activities, avoiding school or social outings, a decline in school grades, or a sudden change in friendship groups. See more information about how to help your child experiencing cyberbullying. Our research shows more than half of parents are concerned about the amount of time their kids spend online. 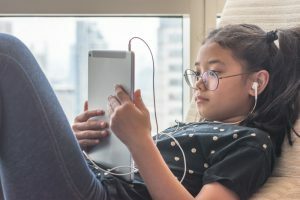 With screens increasingly being used at school and home, it’s important to ensure your child has a healthy balance of offline and online time. Setting screen-free zones in the home and negotiating switch off times are useful ways to do this. Don’t forget – quality over quantity. See more information about managing screen time. 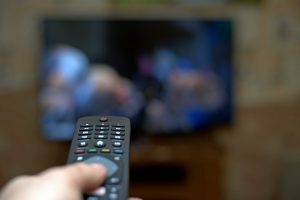 Parental controls on smartphones, TVs and computers can help limit your child seeing inappropriate content and help manage their time online. Make sure the privacy settings on their apps and games are turned on and help show them how to block and report people online. See more information about using parental controls and privacy and reporting tools. As soon as we hand our child a device, we should be talking to them about the dos and don’ts of the online world. It’s also important to let them know we’ll be there to support them if anything goes wrong. There is no substitute for taking an interest in our children’s online lives from an early age, to help establish strong foundations and open lines of communication. See more information about keeping your children safe online. We thank the Office of the eSafety Commissioner for allowing us to share this blog, which first appeared on the Office’s website. You can read the original here. Like this post? Please share using the buttons located on the right of the page.